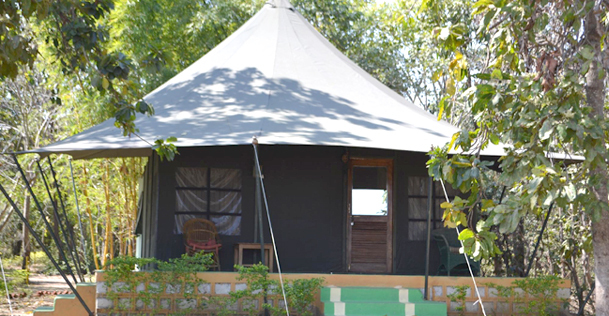 Situated on the right side of Pench National Park, Pench jungle Camp is a perfect accommodation option for the wildlife buffs seeking for exotic vacation on the tour to Madhya Pradesh. 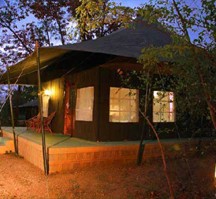 This camp combines assorted opportunities to discover the local landscape with expert guides assisting to explore imposing flora and fauna. 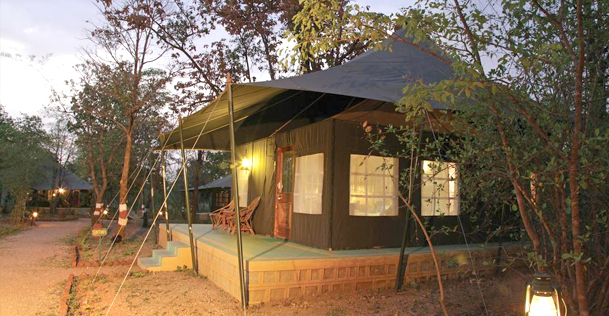 This camp follows wildlife model to give genuine wildlife experience to the guests. 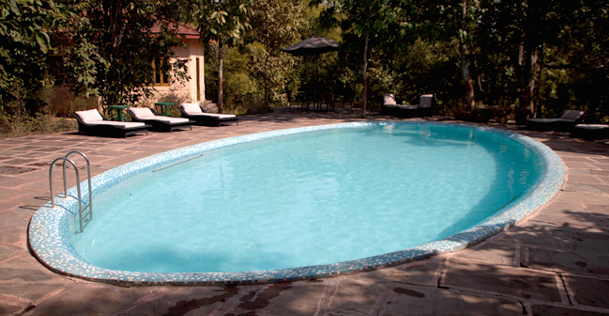 The resort is the supreme place to unwind oneself from the hassles and tensions of today’s hectic life. 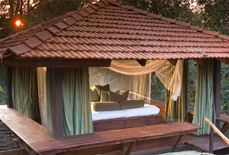 It renders the guests, the chance to relish the beauty of the wild tied together with lavish living. 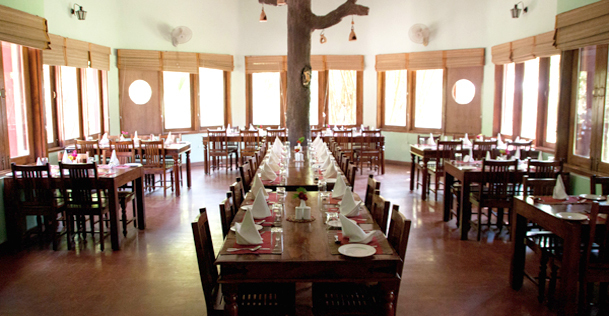 The out-and-out staff of this camp resort always strives to offer custom-made service to the tourists. 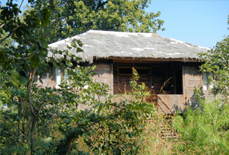 Accommodation: There are 23 well appointed rooms in the camp resort. 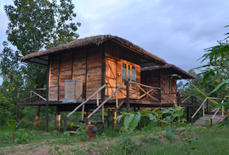 These rooms come under categories of Deluxe Safari Tents, Premier Rooms and Deluxe Cottages. Reservation should be cancelled within 30 days prior to the plannedday of arrival. 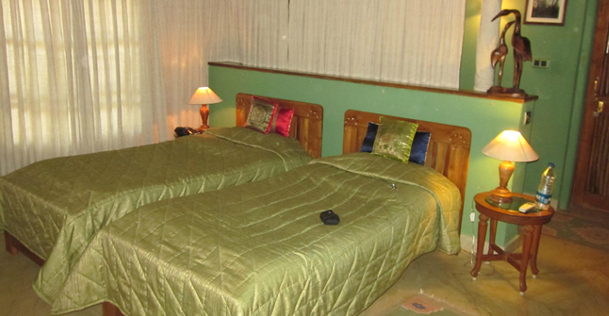 One night stay will be charged for a cancellation that is received up to 15 days prior to the arrival. 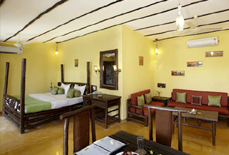 Full stay will be charged for cancellation that is received in 14 days prior to the arrival. 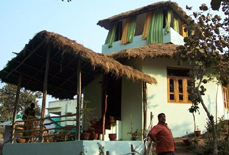 Pench Jungle camp is in a close proximity to the Pench National Park in Seoni, Madhya Pradesh. 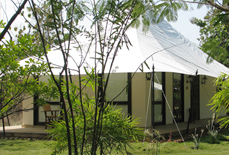 Positioned about 90 Kms from Nagpur, this resort is well linked by a weatherproof metalloid road system to other significant places in Maharashtra and Madhya Pradesh. The nearest railway station of Nagpur (102 kms.) acts as a comfy railhead for tourists. 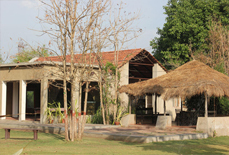 Nagpur airport is the nearest airport from this resort. AC. Ctg. Lux. AC. Tnts. 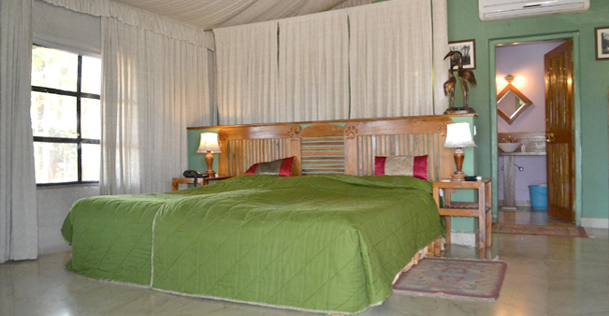 Premium Rooms Dlx. AC. Ctg.